Unlike eye glasses, contact lenses as the name indicates are in direct contact with the surface of the eye. Due to this reason, it is very important to maintain correct hygiene of contact lenses both during wearing and storage. If correct procedures are not followed, then irritation may occur in the eye. Whether fitting contact lenses, removing or storing them, cleanliness is a must. Both the hands and lenses must be kept sterile at all times. A dirty lens will attract bacterial and fungal infections resulting in pain and redness. Most of us make contact with some chemical or the other like spray deodorants, perfumes and hair sprays. These are a major source of irritation. Always apply cosmetics before fitting your contact lenses to avoid chemical contamination. Untreated water includes tap water, rain water and swimming pool water. Such water usually contains a micro-organism known as "Acanthamoeba" which causes a disease called Acanthamebic Keratitis which is known to cause blindness. So if your contact lenses come into contact with untreated water, be sure to wash and disinfect them thoroughly as soon as possible. Never share your contact lenses with others. To start with, your lenses conform to a prescription which applies to your eyes only. Moreover, sharing contacts can result in bacterial infections which will invariably cause irritation. The solution used for cleaning and storing contact lenses is usually specific to a particular brand and type. It is compatible with the lens material. A different solution may change the properties of the lens material and cause irritation. However well a contact lens is made, it must be remembered that it is still a foreign body as far as the eye is concerned. Therefore, contact lenses should not be worn continuously day and night. There should be a period of rest each day when the eye can "breathe" which means absorbing oxygen and releasing traces of waste gas and toxins which get produced by the eye. All contact lenses have a defined period or "life". The wearer must be aware of this period and not use them beyond it. Worn lenses can cause discomfort and irritation as they tend to collect fungus and bacteria over time. Due to mishandling, the lens may get damaged. If you use such a lens, it is liable to fit badly and may cause irritation. 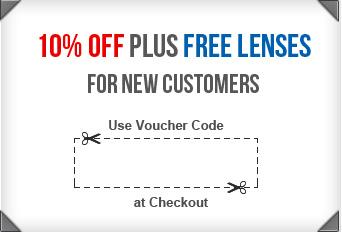 If you suspect that your lens has been damaged, discard it. You may be reluctant to throw away an expensive lens. In such a case, avoid using it until you have had it checked by an optometrist. Now that you know the major causes of irritation by contact lenses, it is your first step to avoid this happening by following the correct procedures.